Larne YMCA is another participating group on the Landmarks project. 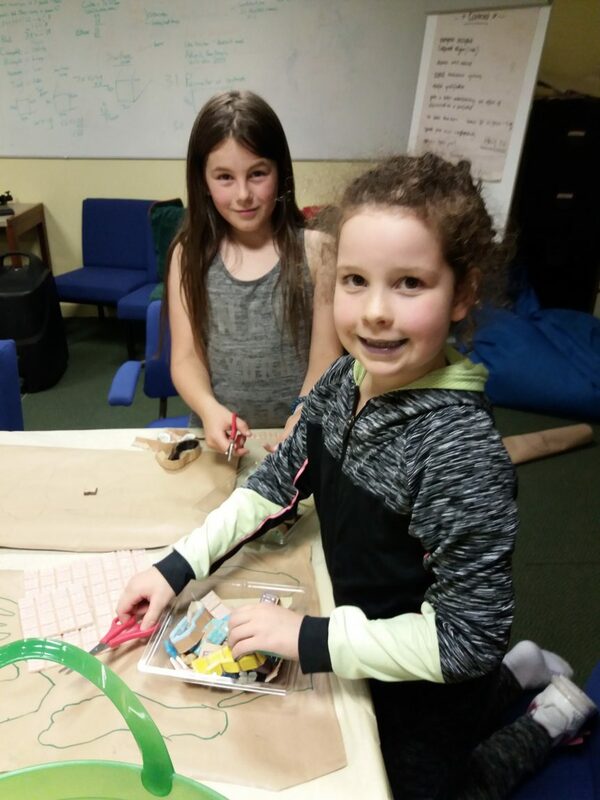 Their Friday evening Youth Club is a mixture of girls and boys who are aged between 7-12 years old. They are working on a mosaic piece which is a new technique for the participants, under the guidance of Artist/facilitator Dawn Aston. So far, the group has been busy working on designs and deciding on the colour selection for their artwork. They have been very engaged and working on the processes of sorting, soaking and drying tiles in preparation for the next stages of this indirect method of mosaic making. The theme they are using is around making their own mark through the shapes of their hands and feet. They are a lively group, enjoying the project and having fun.